Arlington Mobile Auto Repair, in Arlington, TX, Have you ever needed to have an onsite automobile repair job or service work or may you've been in need of a car repair company in Arlington, TX. to repair an automobile you own? Or maybe your car needed to be repaired at its location, but do not have the time to drop it off, wait for it, or come back to pick it up? Arlington Mobile Auto Repair delivers mobile car repair at your home or office. Get a fast repair, maintenance, and diagnostic services. If you have car trouble late at night, during inclement weather, or need an oil change or tire change, then call us first, or call us last, but our service will be the best. 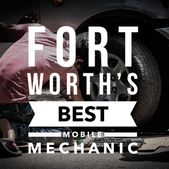 There are many reasons you should choose us as your local mobile mechanics. We are the Arlington Mobile Auto Repair who have been specially trained with years of experience repairing all years, makes, and models of vehicles. We are available seven days a week and by appointment after hours. Plus, our services are affordable, and our work is always guaranteed. So, if you think that yes, you need a reliable service then you are invited to call Arlington Mobile Auto Repair no matter wherever you are, we will be there within a very short time.